Words like tradition and authenticity aren’t just jargon and babble in Wickenburg. WE ARE TRADITION. WE ARE AUTHENTIC. And Wickenburg fills a glorious chapter in the history of Arizona and the West. Though less than an hour away (54 freeway miles) from the hustle and bustle of modern Phoenix, Arizona’s most western community stands guarded from the metropolitan masses. After all, Mother Nature herself kissed Wickenburg. Resting on the northern edge of the Sonoran Desert, just below Arizona’s mountainous country, the Wickenburg area abounds in natural beauty. Stoic saguaros. Shadow mountains. Lush desert flanking the river. And while the area’s geological treasures attracted the miners from around the world, the Hassayampa River flood plain provided fertile soil for farming and ranching. For centuries, the western Yavapai (or Tolkapaya as they called themselves), made the banks of this oasis their home, irrigating their crops of corn, beans, squash, and tobacco with river water. They named this place Haseyamo, “following the water as far as it goes,” from which the word Hassayampa derived. Though within the claimed territories, neither the Spanish Empire nor the Mexican Republic ever extended their authority this far north. However, Hispanic culture and trade did reach the Yavapai tribe which was Wickenburg’s first family. In the early 1820’s, stalwart hunters and trappers explored the Hassayampa River in search of beavers, whose pelts were sold to hatmakers back east and in Europe. Their reports helped pique American interest in the West. The Wickenburg area and much of the West became part of the United States following the Mexican American War in 1848. An 1862 gold strike on the Colorado River near the present-day Yuma inspired hardy prospectors and miners, predominantly from California and Mexico, to search for minerals throughout central Arizona. The names of these Argonauts now grace many of the surrounding geographic landmarks, including the Weaver Mountains and Peeple’s Valley. 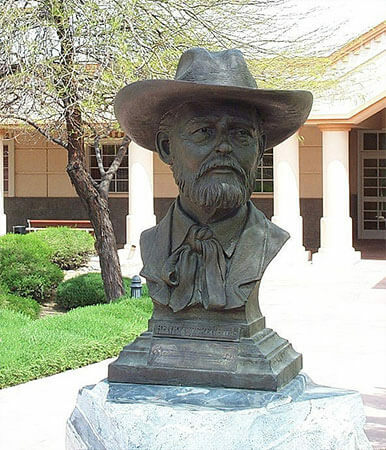 Among the gold searches was the adventurer, Henry Wickenburg. He came from far-off lands, lured by the dream of abundant gold. His quest was rewarded by the discovery of the Vulture Mine, where over $30 million in gold has been dug from the ground. Throughout the foothills surrounding Wickenburg are relics of other mines that stand as a tribute to the pioneer miner and prospector. The mining lore of the region, past and present, adds much to the charm of the area. Ranchers and farmers who built homes along the fertile plain of the Hassayampa River accompanied the miners. Ranchers and farmers who built homes along the fertile plain of the Hassayampa River accompanied the miners. Many of the resourceful and committed settlers came from Sonora, Mexico, giving this area the distinction of being the northern edge of the Hispanic ranching frontier. Together with Henry Wickenburg and the miners, they helped found the young community of Wickenburg in 1863. The infant town went through many trials and tribulations in those first decades, surviving Indian wars, mine closures, desperadoes, drought, and a disastrous flood in 1890 when the Walnut Creek Dam burst, killing nearly 70. Through it all, the town continued to grow. 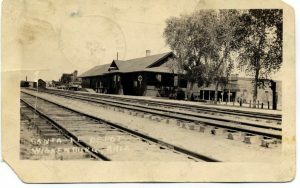 Its prosperity was insured with the coming of the railroad in 1895. The historic depot still stands today as the Wickenburg Chamber of Commerce and Visitor’s Center. Along the town’s main historic district, early businesses built beautiful structures that still grace Wickenburg’s downtown area. The abundant clean air and wide-open spaces attracted a whole new and exciting aspect of the Wickenburg neighborhood. 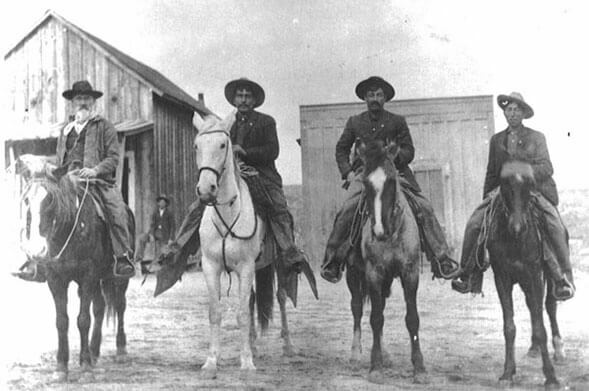 Guest ranches offered a unique western experience to tourists who fell in love with the West.  The Bar FX Ranch became the first true guest ranch in 1923, followed by the Remudas, Kay El Bar, Rancho de los Caballeros, and Flying E ranches, just to mention a few. The construction of the Phoenix to California highway (Highway 60) brought even more tourists, making Wickenburg the Dude Ranch Capital of the World. Today, some of these ranches still offer their unique brand of Western hospitality and are among the reasons True West Magazine recognized Wickenburg among the 10 best Western towns in the world. The Hassayampa community became a vital contributor to America’s patriotic war effort during World War II when the U.S. Army trained thousands of men to fly gliders at a newly constructed airfield west of Wickenburg. After the War, modern pioneers and home builders developed Wickenburg into a splendid American community. Wickenburg of today is a modern town with over 600 businesses providing a full range of accommodations, services, shopping conveniences, specialty shops and galleries for gifts of western distinction. The western ambience, however, still thrives. The town has cherished the best traditions of its colorful early days. 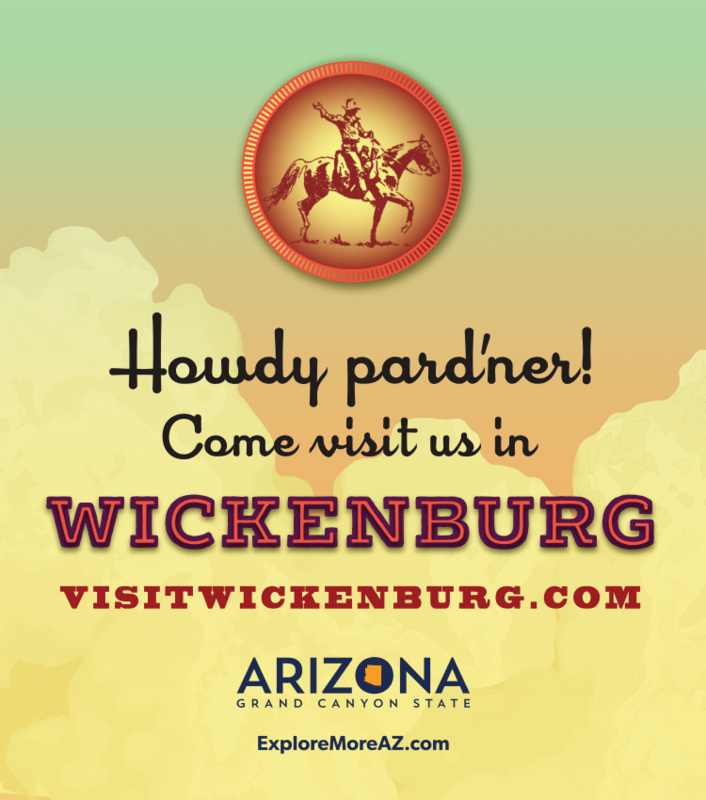 Through annual events such as Gold Rush Days & Rodeo, and the famous DC Ride, organizations such as the Wickenburg Chamber of Commerce and the Desert Caballeros, and the determination and hard work of its citizens, Wickenburg is committed to preserving the best traditions of the Wild West. Come discover Wickenburg’s Historic Downtown. Discover the Jail Tree where townspeople chained lawbreakers in the old days. Discover the natural beauty and the legend of the Hassayampa River. But know that once Wickenburg shares her secrets with you, you’ll be forever changed.